Story: Will Ferrell stars as has-been scientist Dr. Rick Marshall, sucked into one and spat back through time. Way back. 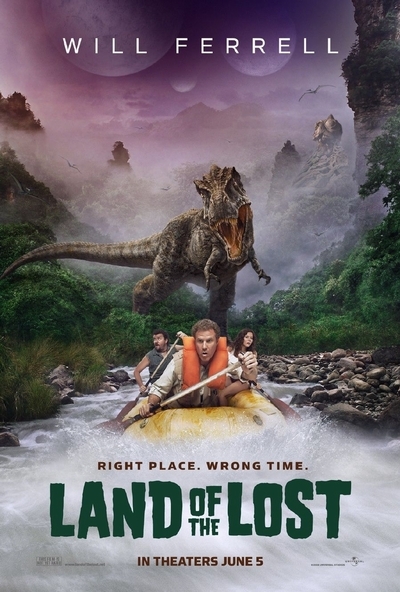 Now, Marshall has no weapons, few skills and questionable smarts to survive in an alternate universe full of marauding dinosaurs and fantastic creatures from beyond our world - a place of spectacular sights and super-scaled comedy known as the "Land of the Lost".